There were several flower gardens at the house where I grew up. I remember tall yellow marigolds in the garden along the back fence, and California poppies in the front garden next to the driveway. 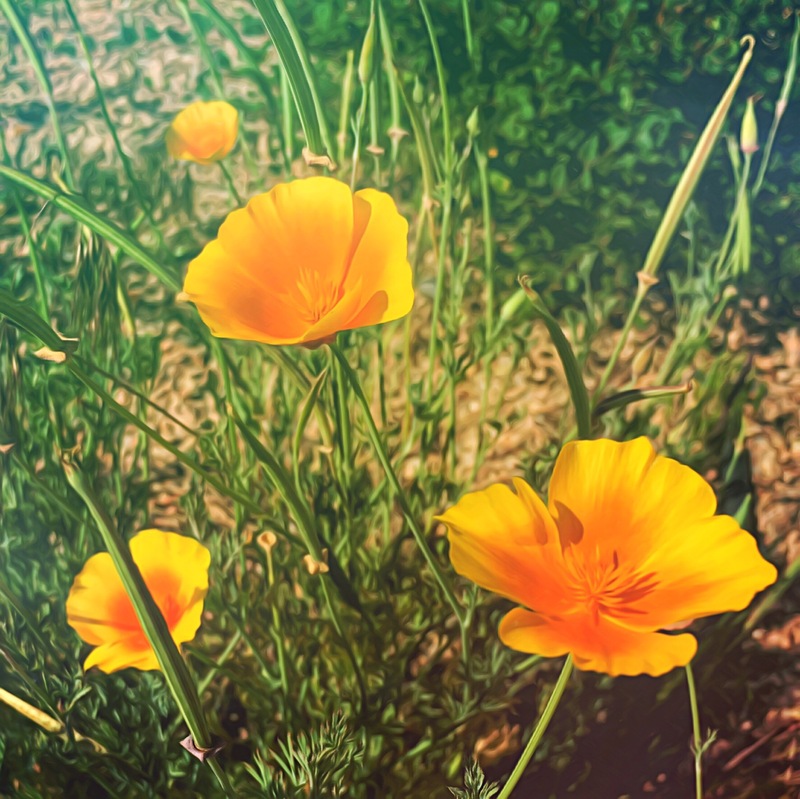 My parents moved to a different house when we all grew up and started lives of our own, and in the front flower garden at the new house, my parents planted California poppies. Thirty two years later the poppies are alive and well, their orange petals waving in the mountain breeze, welcoming everyone who drives down the driveway. Please follow me around the circle to see what the wildly talented Stacey has up her sleeve for our viewing pleasure! Beautiful Sarah. Such a peaceful sense from this photo!